create your own beautiful set of hand printed postcards inspired by your favourite place; whether it's your back garden or the local beach. Perfect for complete print beginners or artists looking to broaden their practise and develop ideas into a print context, dry point is a great place to start. 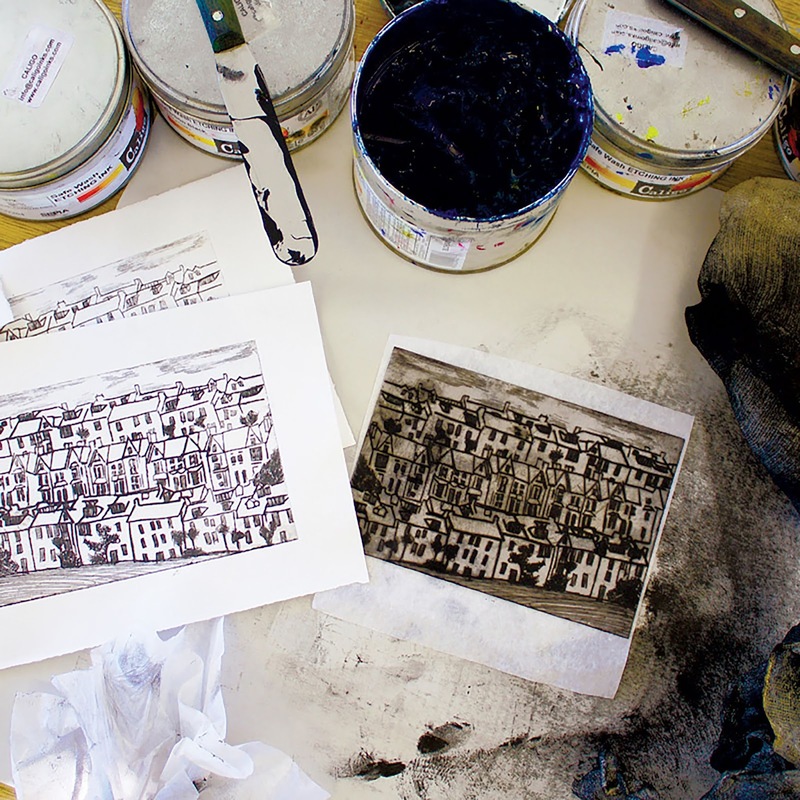 Dry point is a versatile printmaking process which involves etching an image into a plate ready for printing. Using etching tools you will indent the surface of a sheet of plastic following your design, creating a beautiful and unique textured image to print multiple editions. 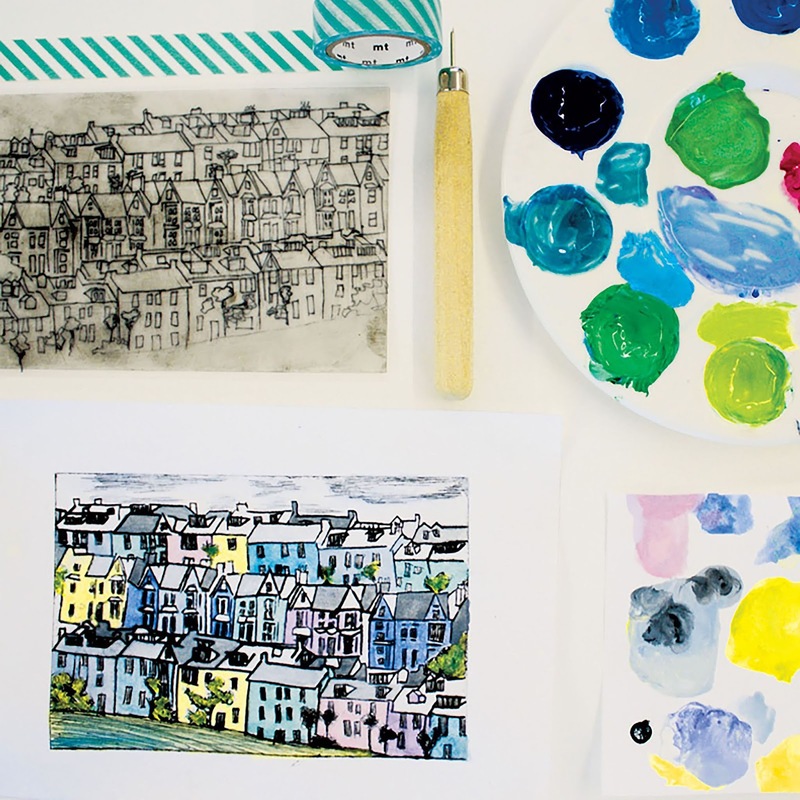 You will then learn how to choose inks, ink up your plate and print using an etching press. This technique is perfect for getting lovely atmospheric images with the application of ink, helping you loosen up and enjoy all dry point has to offer. What to bring: photographs and drawings of your favourite landscape, or anything that will help you feel inspired. Like all Kiwi workshops, all materials are covered in the price, so really you just need to bring yourself. Please wear comfortable inclosed shoes and old clothes you don't mind getting inky.